Activists occupied the headquarters of an energy company in Edinburgh on Monday. THE ENVIRONMENTAL GROUP Greenpeace has been prevented from posting online or distributing any material recorded by protesters who occupied the headquarters of an energy company on Monday. The injunction, issued by a court in Edinburgh, follows a protest by 60 activists at the Cairn Energy company headquarters on Monday where around half the protesters were dressed as polar bears, reports the Independent. According to BBC News, the protesters have repeatedly targeted Cairn in recent months over the company’s search for oil in the Arctic. Greenpeace has been pressing Cairn to release details of how it would respond in the event of an oil spill at its operations in the Arctic. Cairn argues that it does not need to make the documents public in line with official norms. The Guardian reports that Cairn sought the injunction to prevent potentially confidential or commercially sensitive information being published online. The injunction also bars the activists from trying to occupy the companies offices. 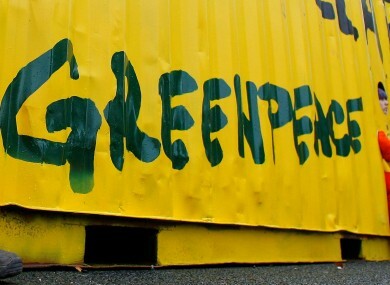 Email “Greenpeace prevented from posting protest pictures on Twitter and Facebook”. Feedback on “Greenpeace prevented from posting protest pictures on Twitter and Facebook”.